Pintopia is a month long selfie qualifier on Matchplay Events. Search "April Pintopia Finals" and you'll see it there. Additional rules and guidelines found at the richmondpinballcollective.org website under "Pintopia". Top 16 qualifiers after the selfie portion play in a 16 player PAPA style finals with 3 rounds, top 2 advance from each round. Each round consists of a 3 game set with 4-2-1-0 scoring for each game. Ties handled in single game tiebreaker. No extra balls are to be played. Finals games will be the same games used in selfie portion unless there are malfunctions preventing so. 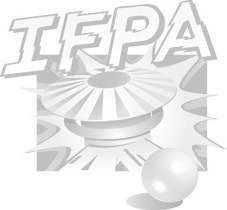 $1 fee per person per month to cover IFPA fees. This tournament is for the bragging rights and WPPRs, not the cash. Bring your A game because you'll encounter some top VA players each month.